5 Therefore be imitators of God, as beloved children. 2 And walk in love, as Christ loved us and gave himself up for us, a fragrant offering and sacrifice to God. 3 But sexual immorality and all impurity or covetousness must not even be named among you, as is proper among saints. 4 Let there be no filthiness nor foolish talk nor crude joking, which are out of place, but instead let there be thanksgiving. 5 For you may be sure of this, that everyone who is sexually immoral or impure, or who is covetous (that is, an idolater), has no inheritance in the kingdom of Christ and God. 6 Let no one deceive you with empty words, for because of these things the wrath of God comes upon the sons of disobedience. 7 Therefore do not become partners with them; 8 for at one time you were darkness, but now you are light in the Lord. Walk as children of light 9 (for the fruit of light is found in all that is good and right and true), 10 and try to discern what is pleasing to the Lord. 15 Look carefully then how you walk, not as unwise but as wise, 16 making the best use of the time, because the days are evil. 17 Therefore do not be foolish, but understand what the will of the Lord is. 18 And do not get drunk with wine, for that is debauchery, but be filled with the Spirit, 19 addressing one another in psalms and hymns and spiritual songs, singing and making melody to the Lord with your heart, 20 giving thanks always and for everything to God the Father in the name of our Lord Jesus Christ, 21 submitting to one another out of reverence for Christ. Do you remember a time when dial-up was all that we had for internet service? Bo be be bop be bo bop…. ring… ring… click, sqeeeeech, sqeeeel…. ahhh, connected. Those were the days huh, access to the World Wide Web. We would wait for every page to slowly load in down the screen, emails would take full minutes to reveal it’s content. But we were happy with that, before dial-up there was no connection to the information we so hungered for, it didn’t seem slow because we had nothing faster to compare it too. 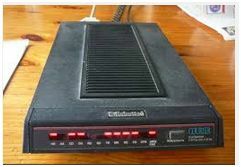 If you were like me and many of my friends and relatives at the time, when they first came out with dsl and cable modems, the cost was crazy. Why would I spend $50 per month when my connection at $14.95 serves me up just fine. I eventually was one of the first of my friends and family to adopt this new connection, and I was blown away at how fast it was. It was incredible, no more waiting for information at what I now realized in comparison was only a snail’s pace. But wow, trying to convince my friends and family that there was a better way! Nearly impossible. They didn’t want to hear it. “How I am getting my information is fine, I don’t need more”, “That is a complete waste of money”. How similar that is to people who were drawn in by the good news of Jesus’ work on the cross and God’s plan for our life but stay in the infancy stage of faith. They don’t know what they are missing when they choose to go to church a few times a year, or even every weekend but never open the bible. 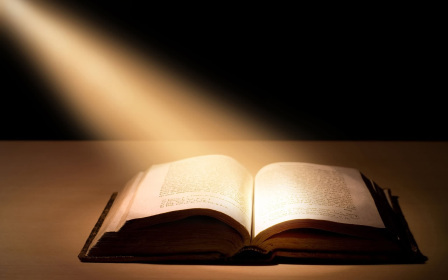 God’s word is so incredibly powerful, it is a complete instruction manual given to us. It is the fullness of God in print, given to us by His incredible love, mercy and understanding that we would need something tangible with which we can hang on to, mark up, dog ear corners, carry with us, refer too in times of trouble and hardship, or fill the air with hymns of praise. For the man or woman in recovery like myself, or the prodigal out there still searching for answers, verses like Ephesians 5 above can leap off the page and change the direction of an entire day, and entire life. God’s word is grounding, real, tangible. The teachings are those of pure and perfect love, it is from our Healer, our Savior who desires to live in and for love alone. It is profoundly personal if we open His word with the expectation of getting fed, a nourishment to the soul that both challenges and sets us free. As we travel on this road with God, we can rest assured that the teachings of Christ never change, and it never tires or grows weary. God’s word should be at the core of every Christian’s arsenal, there is no greater weapon against the darkness and sin in our own life or the grace and compassion with which we are to treat others. To not read the bible daily, to meditate on His words for us, to not make it a point of reflection and direction, is to miss the fastest and most powerful access into the heart, desire and will of God for our lives. He only wants our best so that we can glorify Him through a life transformed. There can be little transformation if we are not fully engaged with the Teacher. This entry was posted in Addiction, conviction, encouragement, faith, hope, Jesus, love, Recovery, Salvation and tagged conviction, God's Word, healing, hope, jesus, new creation, redemption, Rejoice, The Bible, The Cross. Bookmark the permalink.